Is it overwhelming to try to find the right binocular? There are so many binoculars on the market with different shapes and features that simply makes the choice harder. You’re reading all sorts of articles telling you what you need to know, that you need to decide on price range, pick the magnification, look for crisp and clear images, check the eye relief and test some models. 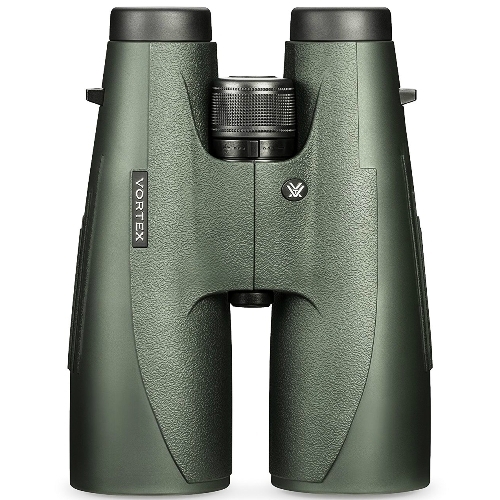 Well, that stops now as we might find the perfect one for you – the Vortex Vulture 15×56 Binocular. Let us tell you first that this binocular is such a pleasure to look through. It is a top-rated product that integrates numerous features. 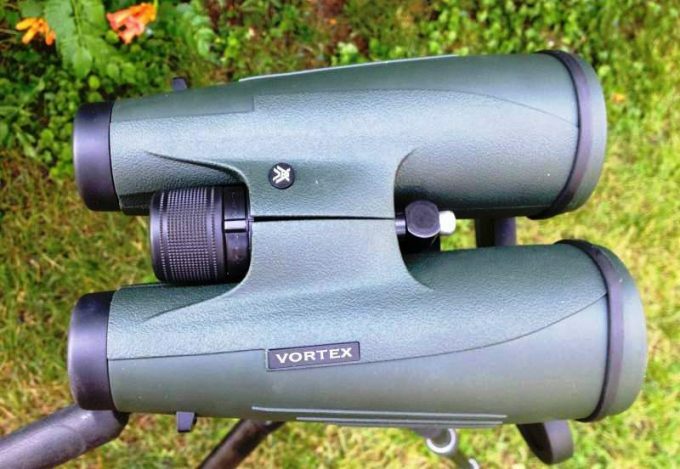 The Vortex brand is known for its amazing scopes and optical accessories and this binocular is no exception. It performs amazingly in low light conditions and its 56 mm diameter objective lens delivers crystal clear pictures. The binocular is designed to work well for day and night activities being waterproofed and ideal for hunting and birdwatching. If these features have caught your attention, let’s sink deeper in analyzing its performance with each feature. We have come to your help and in the following article, we have reviewed an amazing product that we believe will meet your needs. 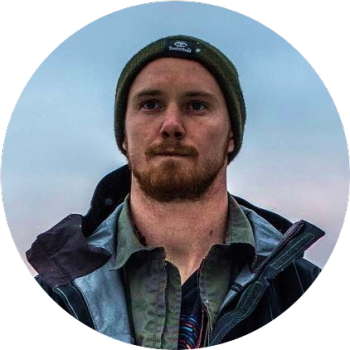 Purchasing the best binocular design for hunting take a bit of time and to make sure you buy the right product, we believe the following research will help you. In helping you decide if this product is for you or not, we will go through the major specifications we believe to be important decision makers. Assuming you order this product online, you need to expect a delivery within 2 days. For safety reasons, the binocular comes in a well-sealed box. We guess you are excited to see what’s in the box, so let’s take a peek. Inside the box, the binoculars are packed in a black case to keep them in good condition and for some extra protection, they are sealed in a plastic wrapper. Within the box, you will also find a tripod adapter, comfort neck strap, rainguard eyepiece cover, deluxe padded carry case and tethered objective lens cover. Sounds great, right? We couldn’t agree more. The Vortex Vulture HD 15×56 weights 43.6 ounces, which makes them a bit heavy to carry. It also measures a height of 7.6 inches and a width of 5.8 inches. The binocular has a beautiful green and compact design, it is ergonomic and fits perfectly in your hands. It also has a single central bridge which is located further up towards the eyepieces, given the barrels more exposure and makes it easy to hold. Even when you are glassing it gives you a nice grip and it is easy to wrap your fingers around this binocular. Waterproofing is a very important feature if you want your binocular to be resistant. In this case, the Vortex Vulture can be used in any weather conditions due to its waterproof and fog proof features. The body of the binocular is made of metal and its ArmorTek technology protects the exterior lenses from scratch, oil and dirt. What we loved about this particular binoculars is that its durability is doubled by an external protection, which provides a secure and non-slip grip, easy to wear and hold during rainy weather. The rubber ridges will keep the binocular from slipping and will offer you confidence in any conditions. You probably already know that binoculars come in many sizes. So why pick this one? Well, one of the reasons is the size of the objective lens. The magnification impacts the light as well. The higher the magnification the less light it gets out. When considering binocular magnification it’s important to know that the physical dimension of the binocular has nothing to do with the magnification. 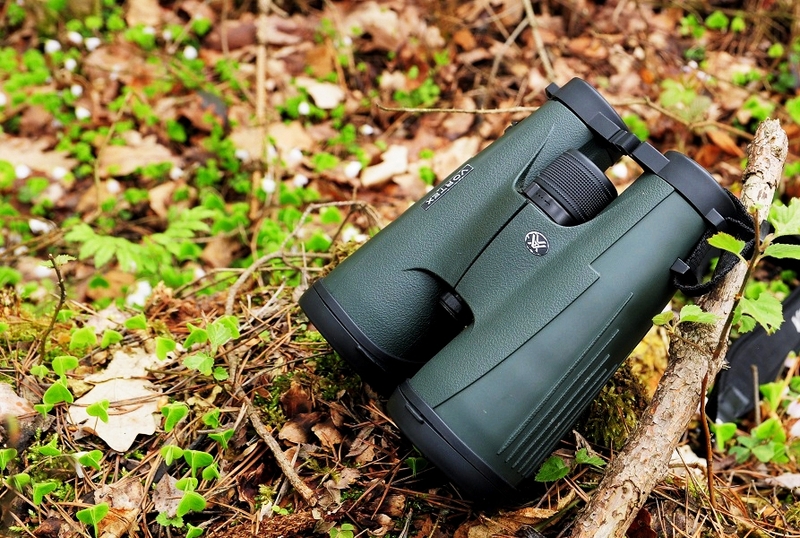 When it comes to choosing a binocular, the magnification and the objective lens diameter are the most important aspects to consider. In our case, the Vortex Vulture has a magnification of 15x and an objective lens diameter of 56 mm. This means that the exit pupil is 3.7 mm, which is enough. You could actually do better with a large exit pupil in low light. However, the 56 mm objective lens will definitely impress you. 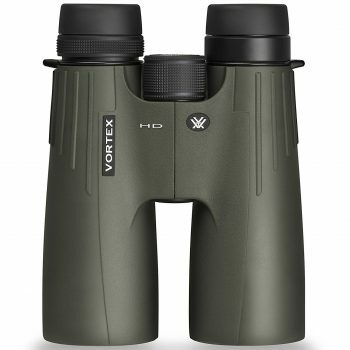 Used for hunting and bird watching, the Vortex Vulture offers great magnification and field of view offering an excellent picture. The clarity of this optics is outstanding. The XR Fully Multi-Coated lenses give you super bright images. This unit offers high-quality images and impressive resolution, with its extra-low dispersion glass. In order to enhance light reflection, a mirror coating is necessary. The Vortex Vulture has a pretty innovative technology given by its Dielectric Prism Coatings, which results in an impressive quality reflective mirror. Another great thing is that it’s made for the night vision, offering bright and clear images. The massive 56 mm objective lenses are ideal for low light conditions. 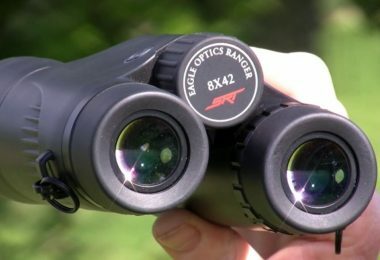 The amount of area that you are able to see is given by the field of view, which is another important aspect when choosing the best binocular to serve your needs. The Vortex Vulture’s linear field of view is 226 feet at 1000 yards offering a great panoramic view. This is achieved through a large central focus. Normally, higher the magnification, the smaller field of view you receive. A larger field of view is given by the larger lenses. The eye relief is crucial for people who use eyeglasses. This binocular eye relief is 15 mm, which fits those wearing eyeglasses or sunglasses. This model has twist-up eyecups for which the eye relief is simple to find. Another interesting feature of the Vortex Vulture HD 15×56 is given by the high-density, extra-low dispersion glass, which, without any doubt, will deliver a high-quality image with impressive resolutions. Due to this high-quality lenses, you will not encounter eye fatigue. For the most of you, the optics are the most important things you need in your arsenal to be successful, they are crucial. 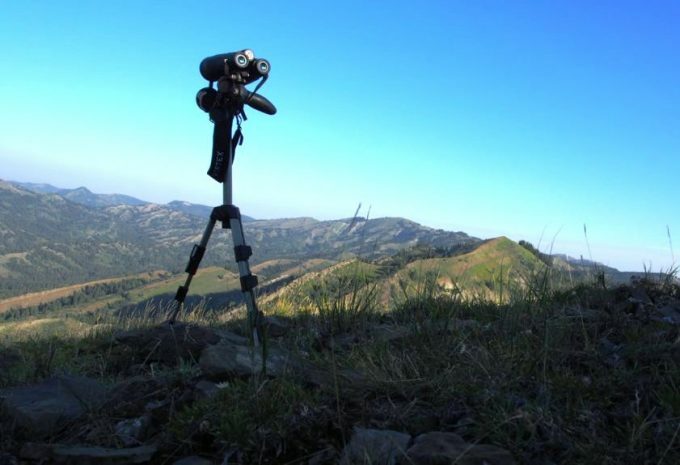 When it comes to tripods, Vortex has a whole line of tripods but the Ridgeview Series is a great choice. It is lightweight and compact, it folds up and you’ll hardly even know that it’s in your pack. Having this tripod can help you a lot and the binoculars mount easily. With a quick detach that makes the binoculars slick without problems. A tripod mounted to this binocular will simply make your life a lot easier. 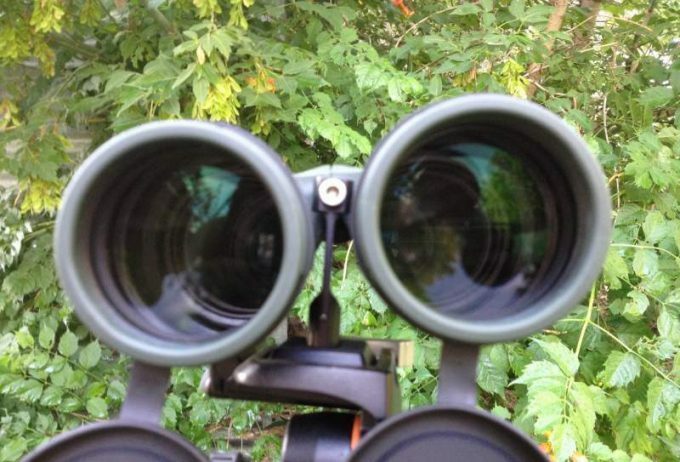 You can sit and relax but continue to look through this binocular’s amazing lenses. The Vortex brand is well known among the experts for their high-quality optics. Designed, engineered and manufactured in the United States, the Vortex binoculars are used for hunting, birdwatching, sporting, law enforcement or military applications. Their binoculars are their best selling products, and they have guarantees for this promise. They are all covered by the VIP Unconditional Lifetime Warranty, very useful in case of repair and replace at no charge. 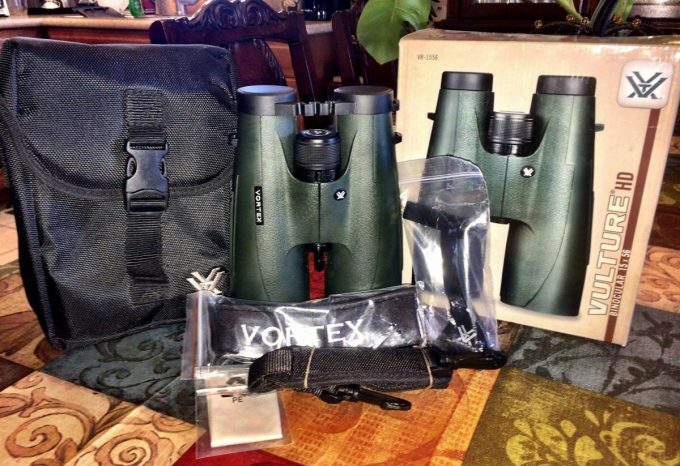 Sold for around $600, the Vortex Vulture HD 15×56 binocular is a great choice in terms of high-quality images. You will be impressed by its high visual clarity, great eye relief and solid construction. It promises clear night vision and outstanding visual quality regardless of the weather conditions. There are many brands on the market that are well known for their remarkable optics in the field of binoculars. 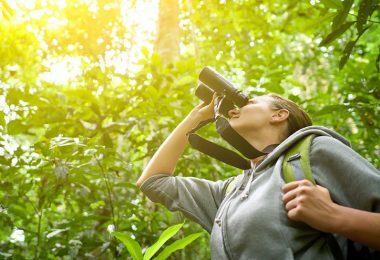 When choosing a binocular to serve your needs, you need to look at features such as the eyepieces, focusing capabilities, and performance in low or bright light. 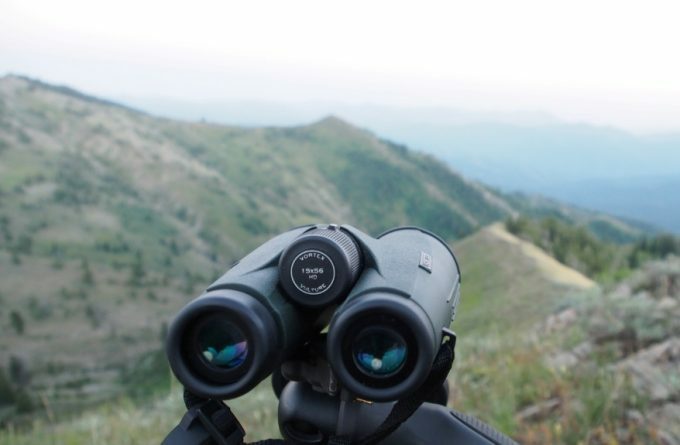 We believe it’s hard to take a decision when buying a binocular, that’s why we have reviewed some related products to help you look into other options. The Vortex Viper HD Binoculars is a great choice. It has a magnification of 12 mm and an objective lens diameter of 50 mm. This means that the exit pupil size is 4.2 mm, a good size and even better than the Vortex Vulture 15×56. The quality that comes in such compact size optics is overwhelming. This model is fully multi-coated and the high-density lens elements offer crystal clear images. With features such as the HD glass and the twisted comfortable eyecups, you get an amazing experience. The Vortex Viper has a compact size, which is a very important aspect. The locking diopter adjustment ring allows setting your image without any problems. In extreme weather, if it’s snowing or raining, the binoculars are safe due to their waterproof and fogproof elements. The O-ring seals the moisture and makes it impossible to damage the binocular. You will be surprised to know that you will not any problem with the features it says it has. Compared with the Vortex Vulture 15×56, it is a bit lighter and smaller, weighing 28 ounces and measuring 6.7 x 5.2 inches. The eye relief is 15 mm, perfect for anyone with or without eyeglasses. 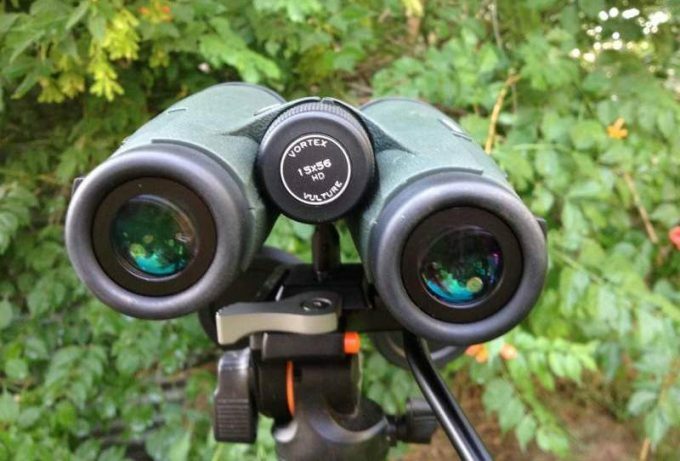 The binocular has a linear field of view of 252 feet at 1000 yards, which provide a good panoramic view. The angular field of view is 4.8°. Same with the Vortex Vulture 15×56, the focus is achieved through a central focus knob, the close focus is out to 8.5 feet. The Vortex Viper has a price between $500 and $600 and comes with rainguard, tethered objective lens covers, comfort neck strap and deluxe padded carry case. The price is fair given the amazing feature this product has and you are covered by the VIP Unconditional Life Warranty. The Celestron 12×50 Binocular is another great product with a nice design that has the eyepieces direct in line with the objective lenses. The binocular feels comfortable and nice in your hands. The body is made of metal and with thick rubber armor on the exterior. With the magnesium and aluminum components is still quite light and easy to carry. The binoculars come with 50 mm diameter objective lenses which are nice and large and have the potential to collect plenty of light for the most conditions. The ocular lenses and the eyepieces are protected by a rainguard that fits perfect, made of a soft rubber material with a nice flexible bridge in the center. It is easy to store them on your binocular no matter how your IPD setting is at. The 50 mm objective lenses are protected by the soft lens covers, and like many binocular nowadays are tethered by the binocular which hang below when you’re glassing. Should you not like them or need them, these are quite easy to take off. The twisted eye cups work really well with the intermediates stops in between, made out of metal, making them far more durable, which in the end gives you a solid feel. The eyecups are made of rubber which gives you a softer feel when pressed against your eyes. The 12 mm magnification is quite amazing, combined with the 52 objective lenses it gives an exit pupil of 5.3 mm with a great performance in low light. Other important features to note here are the fully multi-coated optics and BAK-4 PRISMS that provides sharp images and transmits bright and rich details. Like any high-quality binoculars, the Celestron 12×50 binocular delivers edge to edge sharpness due to its Extra-Low Dispersion glass, delivering superior images with contrast colors. If you are interested in bird watching, hunting, nature viewing, or astronomical viewing this binocular will offer you the images you are looking for in low or bright light conditions, even in the most extreme weather conditions. The binoculars are waterproof and fogproof and you are also covered by the Lifetime Warranty. 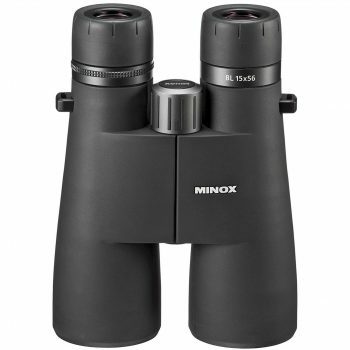 Another stunning product that delivers high-quality performance is the Minox BL 15 x 56 Binocular. These are extremely comfortable binoculars because of the rubber coating. The binoculars fit your hands really well and you are able to hold them very steady regardless of their 15x magnification. You can use the quick connector adapter to attach them to a tripod if you are going to be glassing for a long time. These binoculars come with Minox’s innovative M coating, consisting of 21 layers applied to the glass which prevents the loss of light. It also increases the contract that gives you a sharp image even in low light conditions. Whether it’s dawn or dawn or even in a bright moonlight, you are able to have a clear image. The focus metal wheel on the Minox BL 15×56 is really easy to use. It’s a metal wheel with rubber ribs that is simple to adjust. The finger-felt marking is used for the infinity settings. You are able to focus a lot quicker than other binoculars on the market. They are waterproof down to 16.4 feet and you don’t need to worry about rain or snow. They very durable binoculars and the rubber body it is shock resistant. But if something happens to them, they are covered by the Minox Unconditional Lifetime Warranty, which is a nice peace of mind. 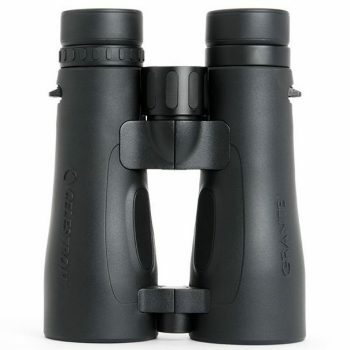 The Minox 15×56 binocular is priced at around $900 which is a fair price considering its great features. This product weights 38.01 oz and measures 6.65 x 5.7 x 2.59 inches. Another nice feature that Minox added to these binoculars is that rather being filled with nitrogen, they are actually filled with Argon which is a larger molecule. This molecule prevents the binoculars from fogging and provides protection against corrosion. This binocular is a nice equipment with remarkable high-quality features. The roof prism binoculars are fully multi-coated. In terms of durability, there is no doubt that Vortex delivers high-quality with its ArmorTek and Rubber Armor features. It is a wonderful choice for a full size binocular. You are getting the best quality you could possibly get with the Vortex in this Vulture HD model. Whether you hunt or you are birdwatching, the VIP Life Warranty will give you confidence in this product, which is a huge relief that you don’t need to bother buying another one; you just simply get it back and receive a new one. If you are searching the market for a new set of optics or you want to upgrade whatever you are using now, feel confident to try the Vortex Vulture that comes with a guarantee. The pros outdo the cons for sure. If you’re a hunter or only interested in nature and tourism this set of binoculars is surely one of the best buys. 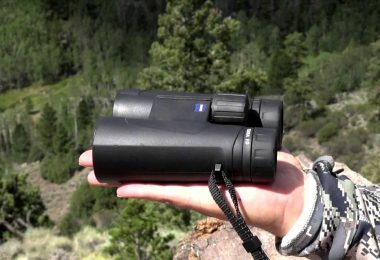 Since the Vortex Vulture has all qualities you might be looking in for a binocular, you don’t need to look any further. 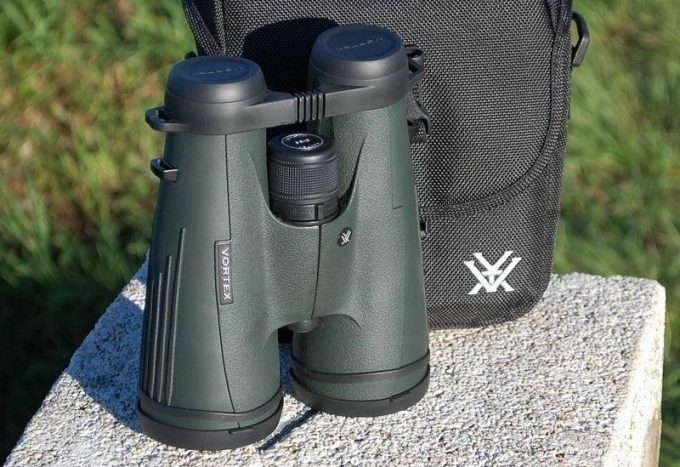 Vortex Vulture 15×56 binoculars are one of those who has it all. From great magnification power, objective lens diameter, excellent field of view not to mention its waterproof and fogproof features to O-rings for moisture prevention, investing in this model will surely pay off fast and save you money on the long run. With that in mind, we’re curious if you’ve settled on anything you’ve read in this review. Is the Vulture good enough for your needs, or would you rather try one of its competitors? Have you tried some of these brands before? Leave us a comment below.